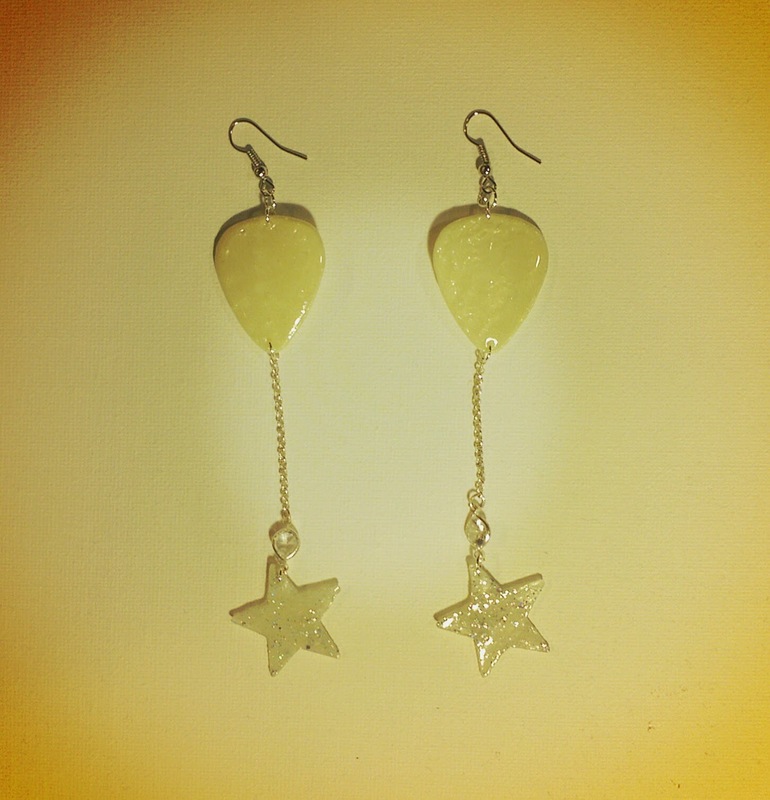 Dangle glow in the dark guitar pick earrings! These guitar pick charms are layered in glow in the dark pigment. I've also added a fine glitter and sealed it with epoxy resin and Mod Podge 3D Magic. Leading down is a silver color chain with a crystal gem and glittering glow in the dark stars.